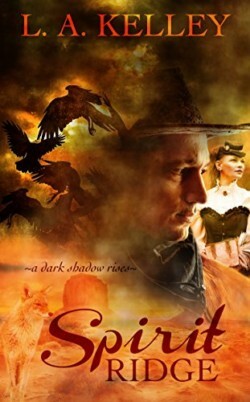 A dark shadow rises in a paranormal western. Nell Bishop, a fearless investigative reporter for the San Francisco Dispatch, is on the run to the Arizona Territory to expose a crime lord’s corrupt empire and stop the plan to extend his dominion to the West. Marshal Sam Tanner fought the spirit visions sent by his Apache blood. Then he dreamed of the coyote with golden brown eyes that brought a warning of impending evil. Was the omen linked to the beautiful brown-eyed woman chased by mysterious dark riders? Can Sam and Nell elude her pursuers or does death wait for them at the end of the trail?